Error:A problem occurred configuring project ':MyApp'. Could not resolve all dependencies for configuration ':MyApp:classpath'. Failed to list versions for io.fabric.tools:gradle. if you still have trouble with building the gradle after looking all the topics in Stack like i did for the past two days, there might be something else you should check if you used to use "Proxy" before, there's two file called gradle.properties in your gradle package. just remove them, the then invalidate cache and restart your android studio and run the project I'm sure you will be fine. 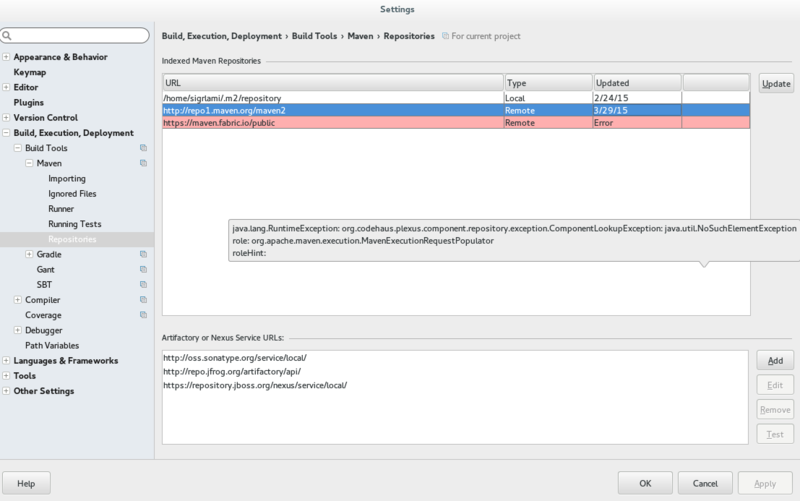 or in Android Studio or IntelliJ Idea go to Settings find Maven group, find subgroup Repositories and click Update on fabrics repo. Not the answer you're looking for? Browse other questions tagged java android maven android-studio android-gradle or ask your own question.